MBC Drama (United Arab Emirates) is in DVB-S2 van start gegaan op 11258.00MHz, pol.H SR:27500 FEC:3/4 SID:1909 PID:191[MPEG-4]/192 Arabic - Irdeto 2. Nieuwe SID voor MBC Drama op 12284.00MHz, pol.V: SID:10 ( SR:27500 FEC:5/6 PID:1001/1002 - FTA). MBC Drama (United Arab Emirates) is in DVB-S van start gegaan op 12284.00MHz, pol.V SR:27500 FEC:5/6 SID:11 PID:1101/1102 - FTA. MBC Drama is nu gecodeerd in BISS (11919.00MHz, pol.H SR:27500 FEC:3/4 SID:29 PID:429/629 English). MBC Drama (United Arab Emirates) momenteel ongecodeerd (FTA) te ontvangen (11919.00MHz, pol.H SR:27500 FEC:3/4 SID:29 PID:429/629 English). 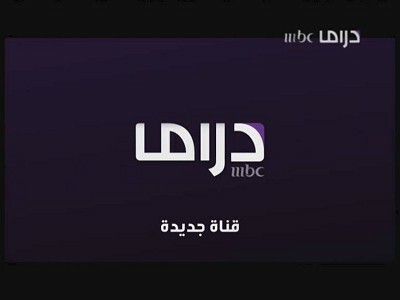 MBC Drama switched to Nilesat 201 satellite at 11938.00MHz, pol.V (DVB-S , 11938.00MHz, pol.V SR:27500 FEC:3/4 PID:4081/4082 English). Orbit Showtime Network: Nieuwe frequentie voor MBC Drama: 12188.00MHz, pol.H (DVB-S2 SR:27500 FEC:5/6 SID:5 PID:405[MPEG-4]/605 Arabic- BetaCrypt & Conax & Irdeto 2). MBC Drama (United Arab Emirates) is in DVB-S2 van start gegaan op 10731.00MHz, pol.V SR:45000 FEC:2/3 SID:5 PID:501/502 Arabic - FTA. Nieuwe SID voor MBC Drama op 12322.00MHz, pol.V: SID:3 ( SR:27500 FEC:5/6 PID:301/302 English - FTA). MBC Drama in DVB-S op 12322.00MHz, pol.V SR:27500 FEC:3/4 SID:7 PID:701/702 English (FTA). Nieuwe frequentie voor MBC Drama: 12322.00MHz, pol.V (DVB-S SR:27500 FEC:3/4 SID:8 PID:801/802 Arabic- FTA). Nieuwe frequentie voor MBC Drama: 11919.00MHz, pol.H (DVB-S SR:27500 FEC:3/4 SID:29 PID:429/629 English- BISS). Nieuwe SID voor MBC Drama op 12322.00MHz, pol.V: SID:28 ( SR:27500 FEC:3/4 PID:428/628 Arabic - FTA). Nieuwe SID voor MBC Drama op 12322.00MHz, pol.V: SID:10 ( SR:27500 FEC:3/4 PID:137/649 Arabic - FTA). Nieuwe frequentie voor MBC Drama: 12322.00MHz, pol.V (DVB-S2 SR:27500 FEC:3/4 SID:28 PID:428/628 Arabic- FTA). Nieuwe frequentie voor MBC Drama: 12437.00MHz, pol.V (DVB-S2 SR:27500 FEC:3/4 SID:28 PID:428/628 Arabic- FTA). Nieuwe frequentie voor MBC Drama: 10796.00MHz, pol.V (DVB-S SR:27500 FEC:3/4 SID:3607 PID:3612/3613 English- FTA). MBC Drama is back on 11938.00MHz, pol.V SR:27500 FEC:3/4 SID:2808 after a break ( PID:4081/4082 English - FTA). Nieuwe frequentie voor MBC Drama: 12380.00MHz, pol.V (DVB-S SR:27500 FEC:3/4 SID:4102 PID:4102/4202 Arabic- FTA). MBC Drama is testing in DVB-S FTA on 11919.00MHz, pol.H SR:27500 FEC:3/4 SID:28 PID:428/628 Arabic. MBC Drama is testing in DVB-S FTA on 11938.00MHz, pol.V SR:27500 FEC:3/4 SID:2808 PID:4081/4082 Arabic.